A Celebration of that little, dried up piece of fruit with which we would be hard put to do without. This tiny morsel packs more flavor than could be imagined in something its size. Raisins are nothing more than dried Grapes and just as there are many different types of grapes, there are many type of raisins. As a child growing up I never would have been able to eat my breakfast cereal without raisins. Raisins can be eaten out of hand and are often put into many types of baked goods, such as Raisin/Cinnamon Bread, Cinnamon Rolls, Danish Pastry, Cookies, Muffins, Cakes and even Pies. A Raisin is packed full of nutrition with Iron leading the way. One serving of Raisins (165 g or 5.8 oz) will provide an adult with 17% of his/her daily Iron needs, 8% of Calcium and 6% of Vitamin C.
The Grapes that are most commonly dried to produce Raisins are Thompson Seedless, but many others are also used including the Muscat Grape. In Markets and Produce Stands you can find Raisins, Granola with Raisins, Chocolate Covered Raisins and Yogurt Covered Raisins. On the Cereal Shelves you can find Dried Cereal with Raisins, although you are better off If you just buy the cereal and add your own raisins as the Raisin/Cereal combinations seldom have enough Raisins in them, at least as far as I am concerned, since I love lots of Raisins. To produce the darker Raisin, Thompson Seedless (or Sultanas as they are known outside the United States) are Sun-Dried. To produce the golden variety, the grapes are treated with Sulfur Dioxide and then Flame Dried, which upon learning, makes me not want to use the Golden Variety anymore, although I do like their color in certain baked goods. In addition to Raisins, there are Currants which are actually Raisins that are made from a smaller variety of Grape. Currants are good to use in recipes that call for chopped Raisins in that they are small enough so that they don’t need to be chopped and taste the same as Raisins. 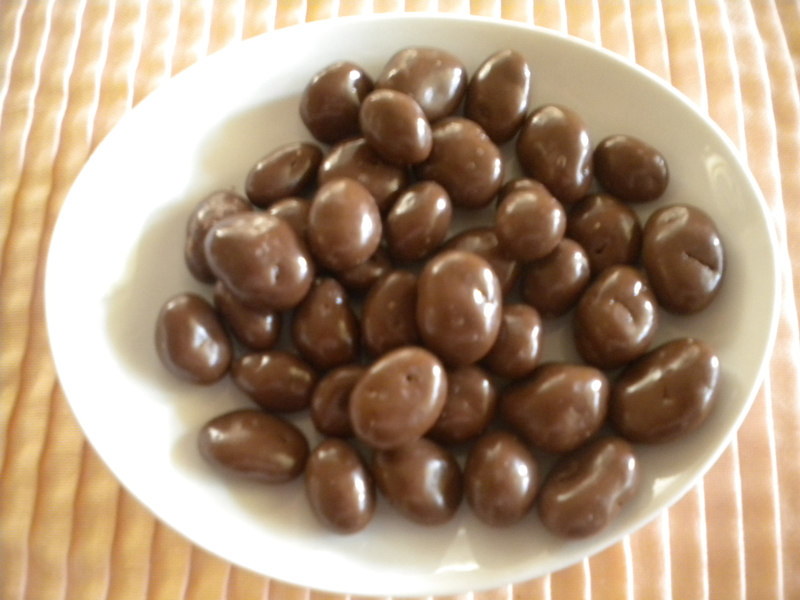 One of my favorite ‘Movie Snacks’ is Chocolate Covered Raisins, which can be had with Dark Chocolate, Milk Chocolate or White Chocolate. There are even Yogurt Covered Raisins. 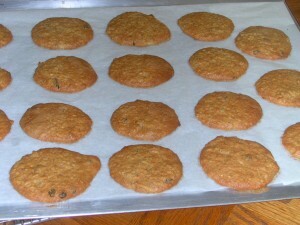 Raisins may be used in place of Blueberries in Scones or Muffins. Raisins are a great snack food to eat out of hand and even though they are high in Fructose and Glucose, recent research shows that raisins fight bacteria in the mouth that cause cavities and gum disease. Celebrate National Raisin Day and eat some Raisins or bake some goodies with Raisins today!